This is a very belated birthday dinner post for myself! 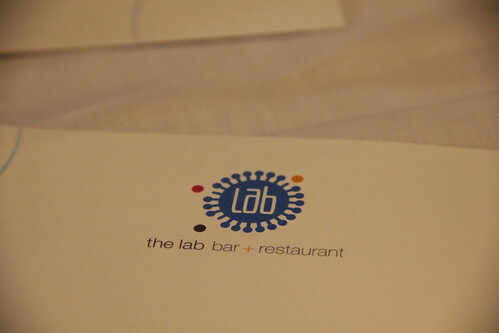 Browsing through the menu, the Lab Bar has so much to offer (making decision-making quite difficult), especially for a Libran known to be quite indecisive. 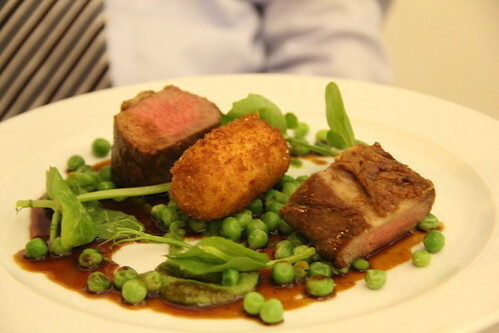 Anyhow, some words like scallops, pork belly, duck and lamb popped out to me! 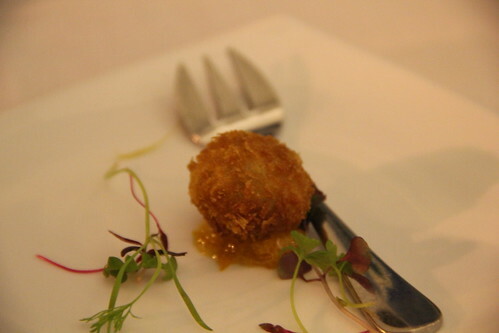 As far as I can remember, I think it was a croqueta with pork filling. It was pretty good but could not be compared to the ones I had in Ortiga last year. For entrees, we ordered the scallops and pork belly to share. The scallops were seared to perfection, not overly cooked and they tasted delicious. 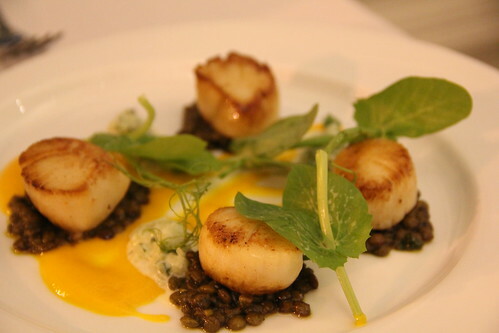 The lentils and curried sauce made quite a good accompaniment to the scallops. 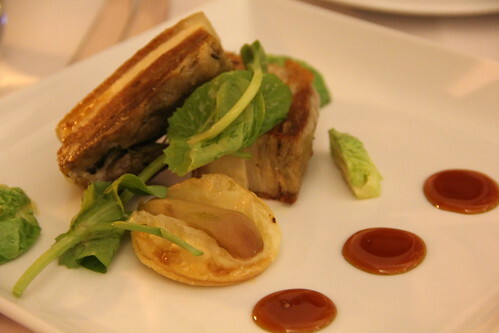 Two pieces of tender pork belly were served with some honey glaze sauce by the side, with a coin piece of puff pastry. It was quite good. As for myself, I had the duck confit! Since this was so long ago... 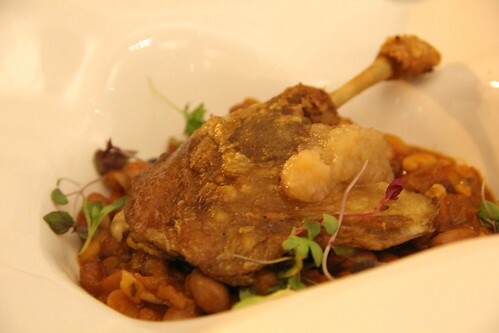 But what struck my memory was the crispy skin of the duck confit with superbly tender meat. It did melt in my mouth (sort of) and the broad beans had been braised long enough to make them soft and flavourful. Both of us enjoyed dinner very much so that night. We ordered a mashed potato with truffle oil as our side dish. It was all right but our next door's beer battered fries had caught my eye! Hmm... 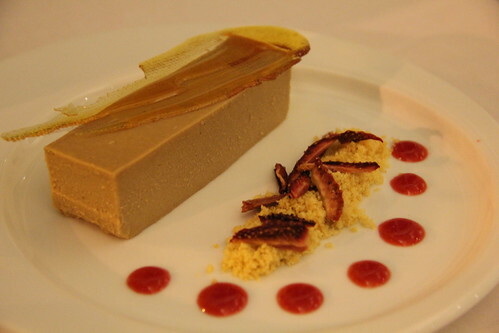 I think it was a caramel flavoured creme brulee with strawberry sauce, freeze dried strawberry and crumbles on the side. 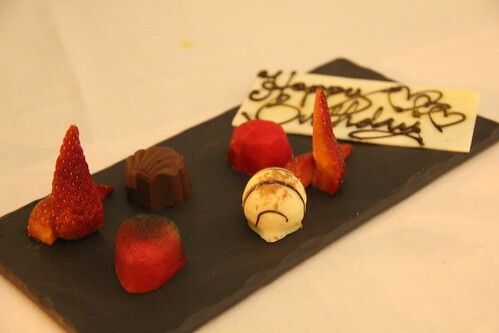 It was very creamy and sweet to both our likings but overall a delectable dessert. Both of us had such an amazing night and it was one of my best and memorable birthday celebration ever! Thank you very much Mr for a lovely night!